The Royal Avenue Theatre (as the Playhouse was originally known) opened on 11 March 1882, beginning with a production of Madame Favart. 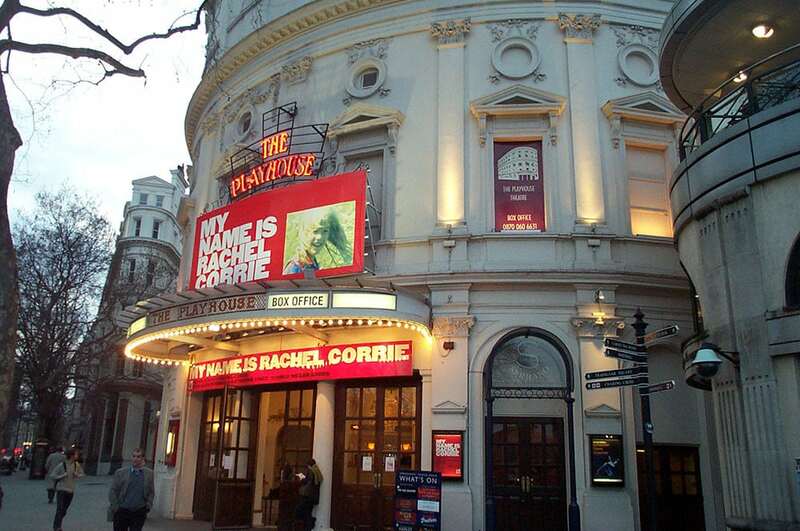 The theatre would follow the model of staging comic operas, burlesques and farces until 1894, when George Bernard Shaw made his West end debut with Arms and the Man. The success of the play allowed him to pursue writing full-time. Rebuilding work began on the theatre in 1905, but suffered a setback after the roof and girders from the adjacent Charing Cross station broke through the wall, killing three workmen. 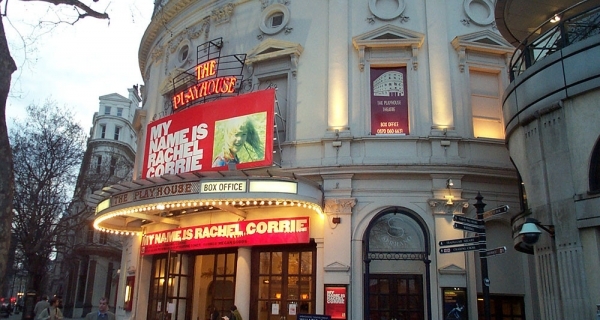 The theatre was finally repaired and reopened in 1907 under the new name The Playhouse on 28 January 1907, and began producing regular dramatic works (including 1934’s Libel!, which marked Alec Guinness’ stage debut). The theatre was taken over by the BBC in 1951, and used as a live recording studio until 1976. Programs recorded during this period include Steptoe and Son, Hancock’s Half Hour, and The Goon Show. Surviving threats of demolition, the theatre was restored and reopened in 1987. Whilst a musical (Girlfriends) was the opening production, the 1990’s were dominated by dramatic pieces, including The Rose Tattoo, Tartuffe, Jane Eyre, A Doll’s House, and The Wood Demon (its West End premiere). 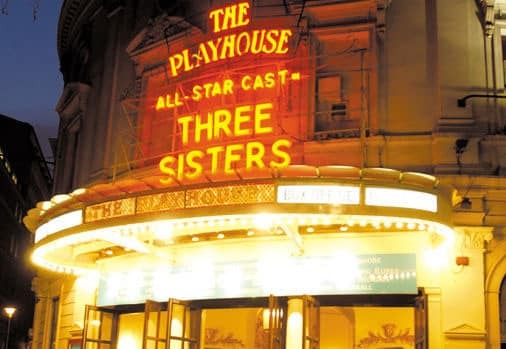 After changing hands 5 times since its reopening, the theatre was purchased by Maidstone Productions in 2002, with the Ambassador Theatre Group managing the venue. NCP Bedfordbury. Masterpark Spring Hadens. Trafalgar, Chinatown (Q Park scheme).